Marc Wood graduated from Nottingham Trent University in 2015 with a degree in furniture and product design. Having gained his first commission straight out of university when he was spotted by online retailer Made. com, he set up Marc Wood Studio in 2017. ‘We create lighting collections and bespoke installations for spectacular interiors,’ he says. ‘I am half Czech and fascinated by the skill and craft of the glassworkers out there, so we plan to keep expanding our core collection, which incorporates crystal glassware hand-blown in Bohemia.’ Wood expects to be exhibiting at London Design Fair or Decorex next year, with his sights set on Milan in 2019. Although he learned a lot during an internship with Terence Conran, Wood says working in a larger design office did not allow him the creative freedom he craved. ‘I came to the conclusion very quickly that the only way to achieve that freedom would be by setting up my own studio,’ he says. Dean collection: Developed for Made.com, Dean was Wood’s first project outside of university. The furniture retailer asked him to develop one of the pieces for his finals into a full collection. 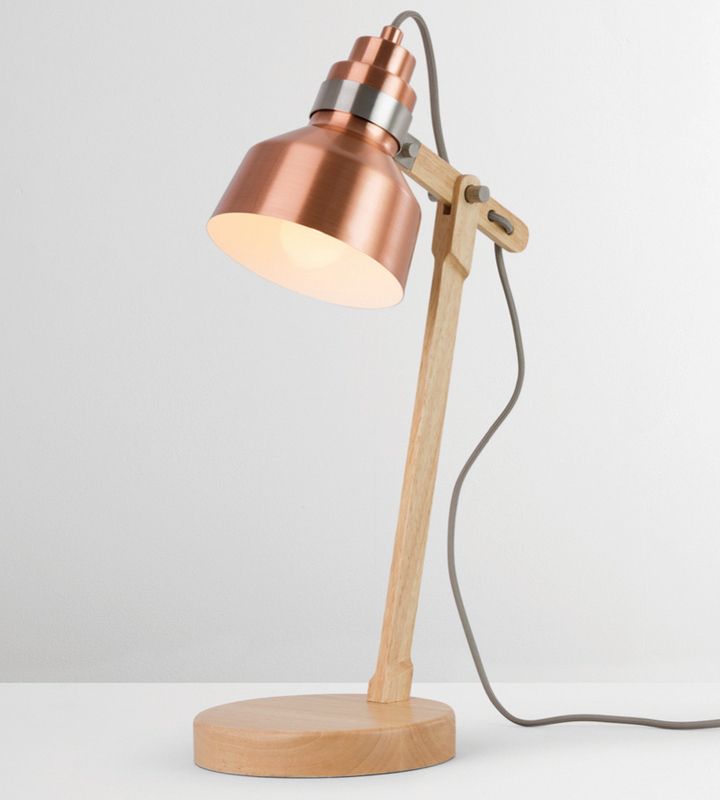 He created a range of functional and stylish lamps, in which the industrial-style brushed copper is softened by the light-coloured wood. 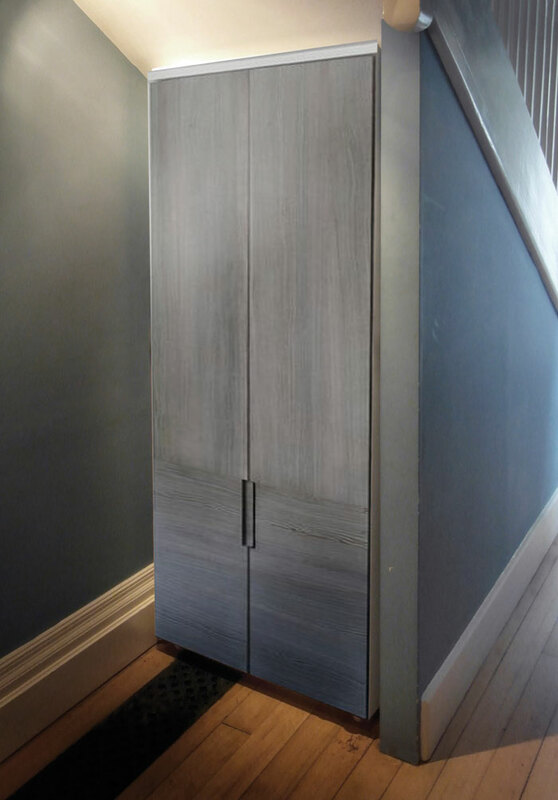 Storage unit for Terence Conran: While interning for Terence Conran, Marc was asked to make a storage unit for Conran’s home in Berkshire. Describing it as a ‘baptism of fire’, as he had never made anything before taking this on, Wood is very proud of his achievement. The Pleated Crystal collection: This is the studio’s debut lighting range. 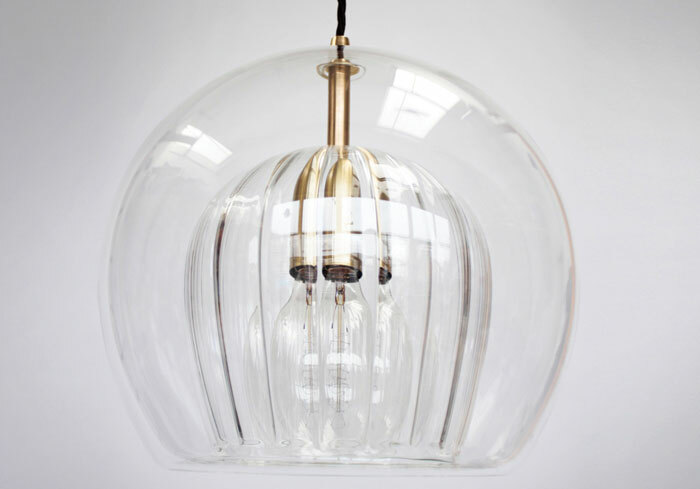 Handmade in Bohemia and London, it incorporates double-walled, hand lathe-spun glass, which refracts the light passing through it. The light’s playful glow looks different from every angle.